Some days I just feel so blah, it takes such an effort to get anything done, and I need every little help and inspiration I can grab to get on with my day. This past week has been just that. I can barely wait for the day to end and I get to crawl into bed and sleep. 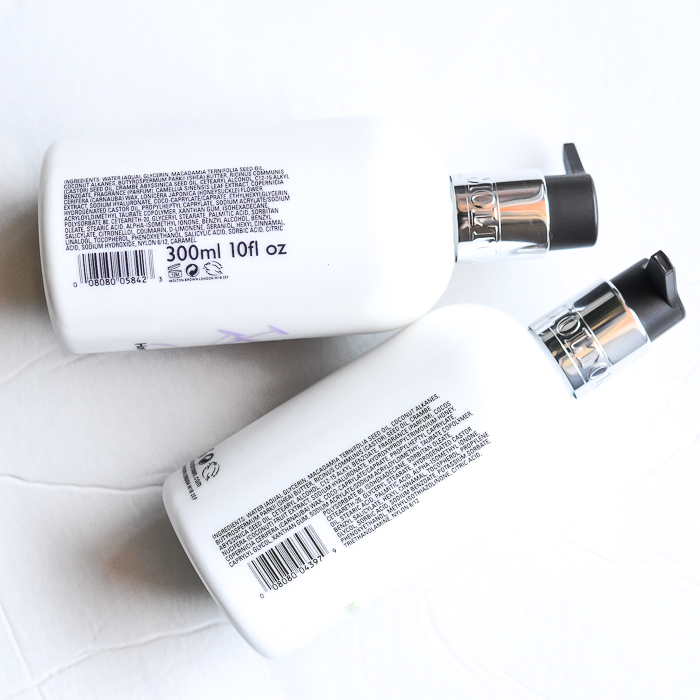 Days like these are when I love trying out some relaxing bath and body care, and my current favorites are these two body lotions from Molton Brown. The Sandalwood and Coconut Body Lotion is a gentle, comforting mix of creamy coconut, jasmine, and sandalwood while the Honeysuckle and White Tea Body Lotion combines the intoxicating scents of honeysuckle, white tea, jasmine, and vanilla with refreshing citrusy notes. Scroll on for more. these lotions leave skin feeling soft and nongreasy. 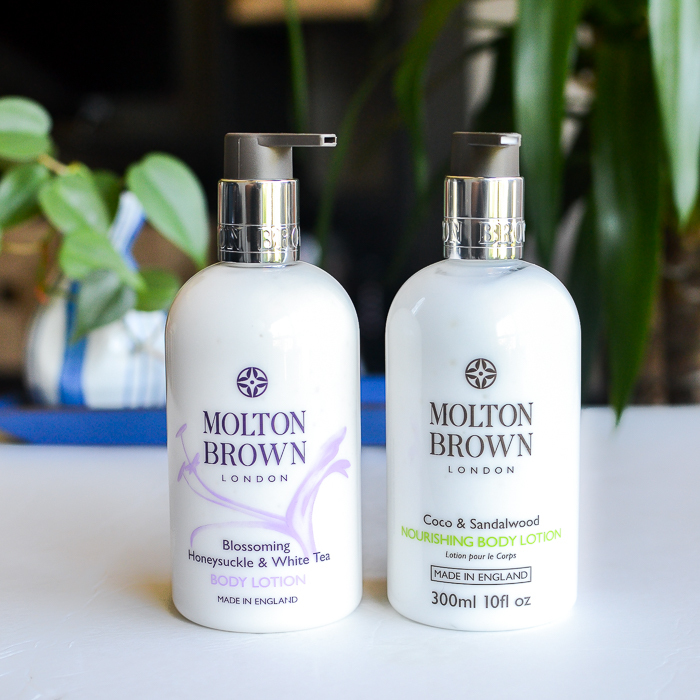 Both these Molton Brown Body Lotions have a light, fast-absorbing formula with skin nourishing oils like macadamia oil and abyssinian oil that leaves skin moisturized but with a non-greasy, velvety feel. 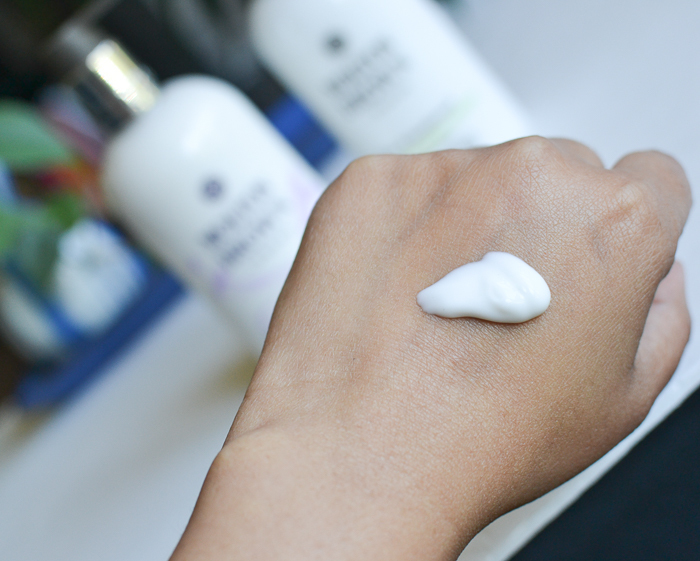 The Molton Brown Sandalwood and Coconut body lotion has a soothing, relaxing scent to it, and it's great if you want a softer scent. The Blossoming Honeysuckle and White Tea lotion is perfect for those who like a sweet, floral, spring-time fragrance. Both lotions do a fantastic job of moisturizing skin while leaving behind a lovely fragrance and are the perfect picks if you are looking for a pampering skincare treat. Product featured in the post were provided for review.